The three elder girls have perhaps been the hardest to get to know, with the exception of Millie. As with most girls aged 15 and 16 they keep themselves to themselves a bit more. Ranju and Mingma hang out in their bedroom more than the others, but Millie can be found in the garden and the main room in the house more. Equally it has taken a while to connect with the two boys, Bhes and Tenzing, but once you get to know them the are good fun. 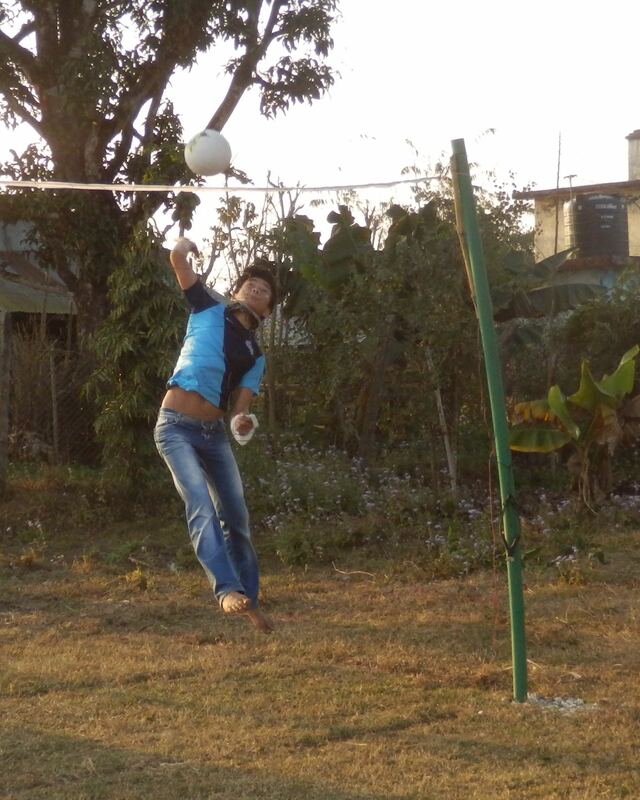 They both love their sports and can quite often be found playing table tennis or volleyball in the garden. They have different jobs to do than the girls – like fetching things on the bicycles such as a large gas cylinder. Another of the boys jobs to get the chicken ready for Saturday’s Dal Bhat – from picking it out of the shed to getting it chopped into little pieces. There used to be more boys here but the others were moved to a Happy Home in Pokhara; there was apparently a rule put in that boys and girls shouldn’t be kept together, how this then works with two teenage boys left I don’t understand. But I know Basanti asked if they could stay to help her out. 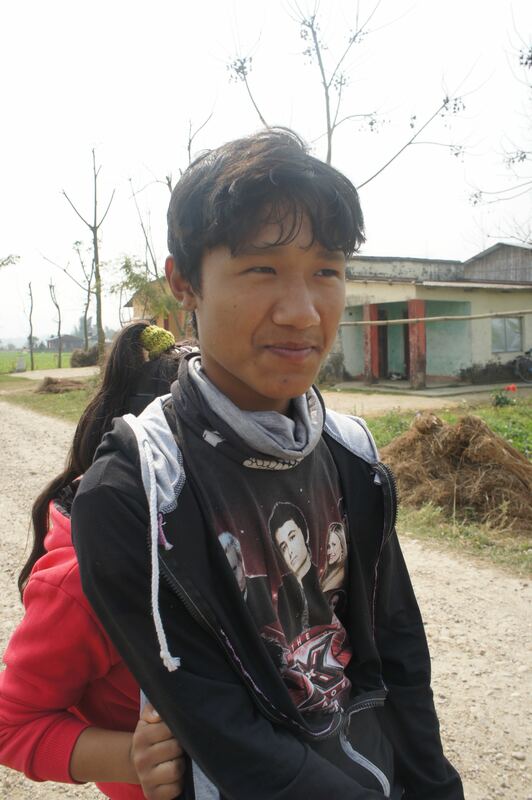 Unfortunately this did mean that Bhes is separated from his younger brother who moved to the Pokhara home. I think what saves these two is that they are really good friend otherwise it might be an issue living in such a female environment! It must be tough for these older children in particular having different volunteers arriving all the time and wanting to get to know them, this is their home and they should be allowed privacy when they want it so I don’t intrude or try and push myself on them. Millie is very affectionate and is often coming up to give me a cuddle or hold my hand. As one the eldest girls she has a lot of responsibility and is often one of the first ones up. She has a lot of homework and works very hard at it and is also learning to type on an old keyboard. 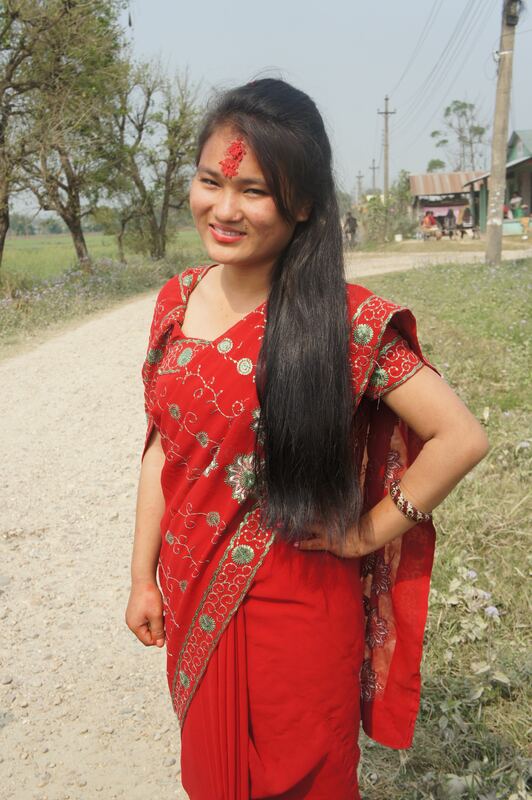 Her family live in the local village and her brother goes to the same school; she’s been back to visit them a couple of times since I’ve been here – once was a festival day and we met her out on the road dressed up in a beautiful red sari looking very grown up. Favourite colours are black and white. She is 15 years old and her birthday is on the 23rd of December. Her favourite animal are rabbits. She loves to play templeron, which is a video game. When she grows up she wants to be work in business and have a little moped. Her favourite food is an pizza. 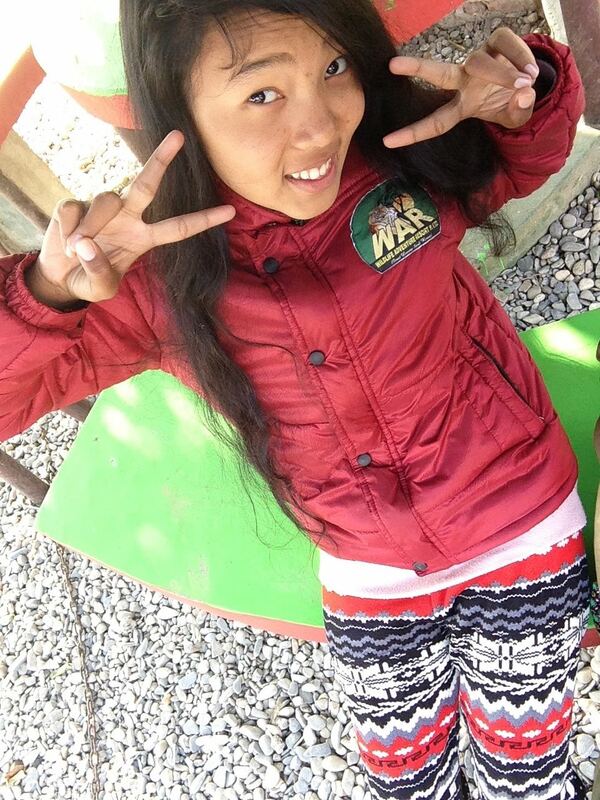 Her best friend are Pranulan and Seta. Her favourite flower is a rose. English is her best subject at school. If she could have a super power it would be to make everyone healthy. Ranju is the elder of Basanti’s two daughters that live with her here at Happy Home. She is a kind, fun girl and once asked me if I was married when I said no and that I hadn’t met anyone I liked enough and vice versa she said that she liked me so she would marry me. She is 15 years old and her birthday is on the 7th of April. Her favourite animal is an an elephant. She loves to play volleyball. When she grows up she wants to be an air hostess with Mingma. Her favourite food is a Dal Bhat. Her best friend is Mingma. Her favourite flower is a white rose. If she could have a super power it would be to be invisible. 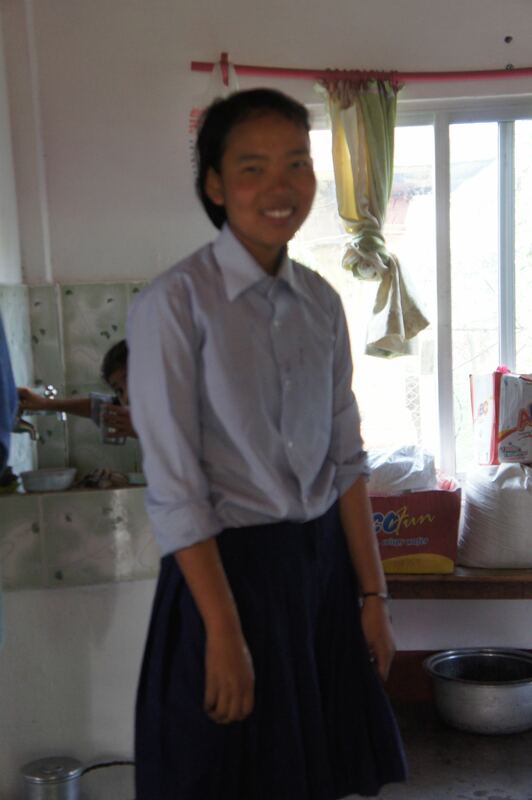 Mingma is the most reserved of the girls but at 16 that is to be expected, but whilst she is reserved she is a very happy girl and is always smiling. Her family live in Goljung, Rashuwa and she has two brothers and a sister. 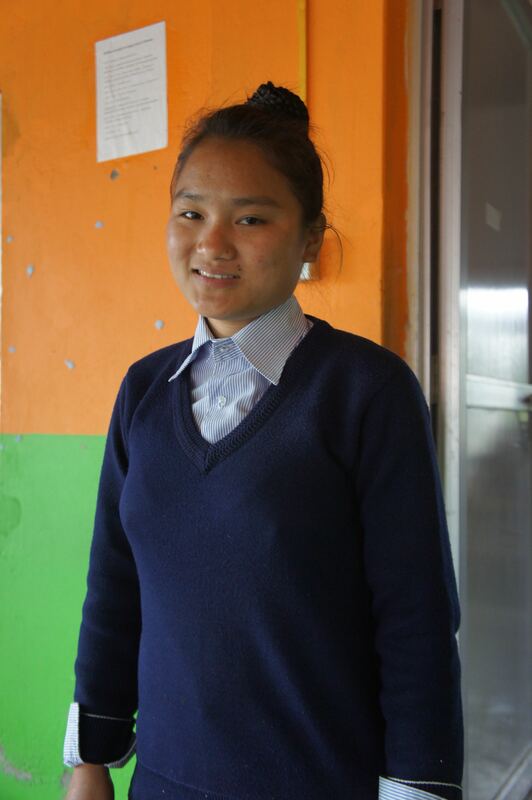 The family are all from a lower caste and quite poor; her father is a porter for tourists in Langtang, but the work is seasonal. 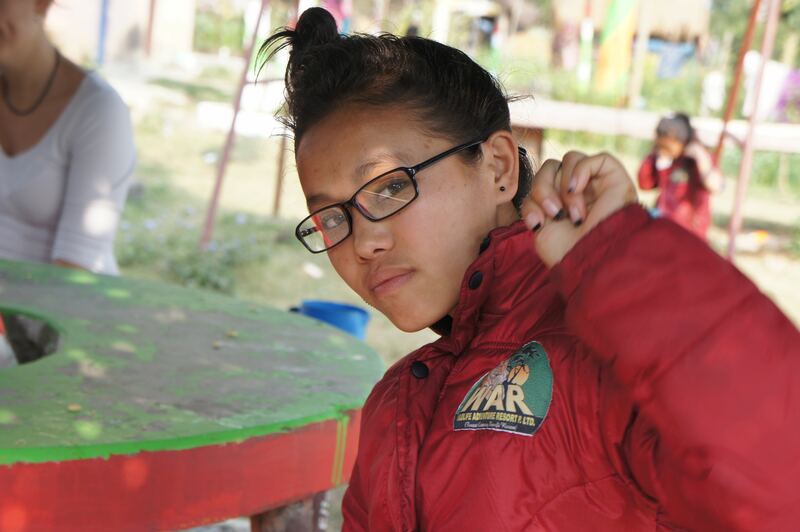 Before she came to the Happy Home Mingma was living in poor conditions in an orphanage in Kathmandu that was being closed down. A lot of families put their children into orphanages if they can’t afford to keep them. Her favourite colour is purple (excellent choice in my view!). She is 16 years old and her birthday is on the 4th of January. Her favourite animal is an elephant. When she grows up she wants to be an air hostess with Ranju. Her favourite food is momo’s. Her best friend is Ranju. Her favourite flower is a red rose. If she could have a super power it would be to go invisible. 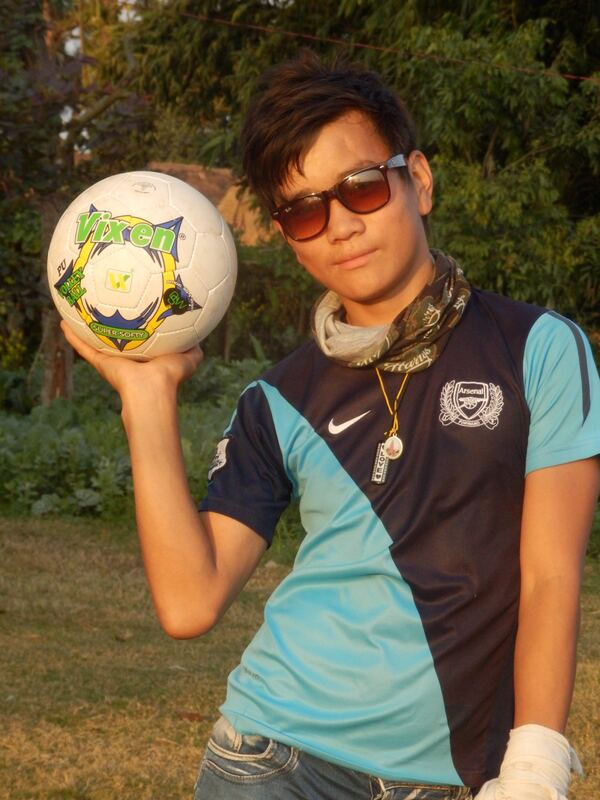 Bhes is a sporty boy and loves to play volleyball. He has his wrist strapped up and I thought he’d hurt himself but now I realise it is because of volleyball – or at least I think so. He is a good looking boy and very trendy – I’m sure I’ve seen him change his outfit a few times in a day – more than the girls! His favourite colour is red. He is 16 years old and his birthday is on the 3rd of April. He favourite animal is an rabbit. When he grows up she wants to join the army. He favourite food is papaya. He best friend is Tenzing, who is also part of the Happy Home family. He favourite flower is a red rose. If he could have a super power it would be to build houses instantly out of stone. Tenzing is the more gregarious of the two boys and he definitely has a cheeky streak. He is missing one of his front teeth but strangely it suits him. He is often walking around with a sling shot in his hand – which I’ve told him I don’t like! 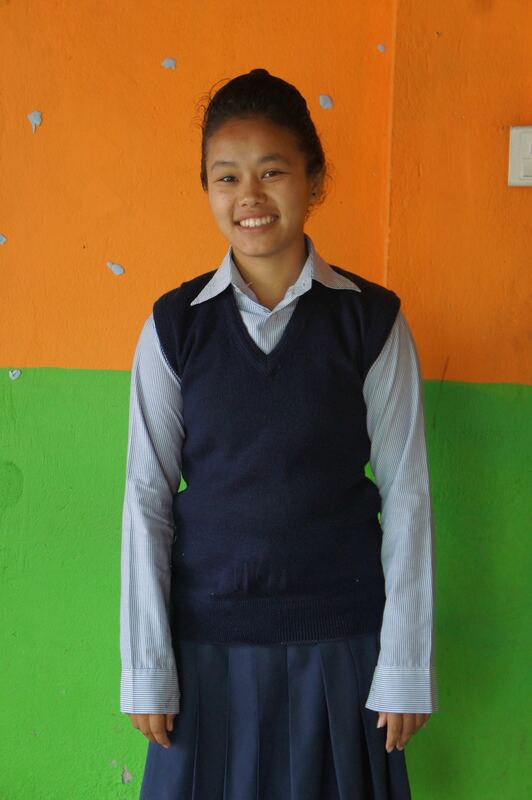 Tenzing is from the Langtang region. His father is a porter for travellers but because of the lack of tourism in the area the porters are often out of work and unable to provide for their families. They try to get other jobs caring for tourists but these are often short term. So whilst he has a mother, father and two brothers his family were unable to provide for him or pay for his education. 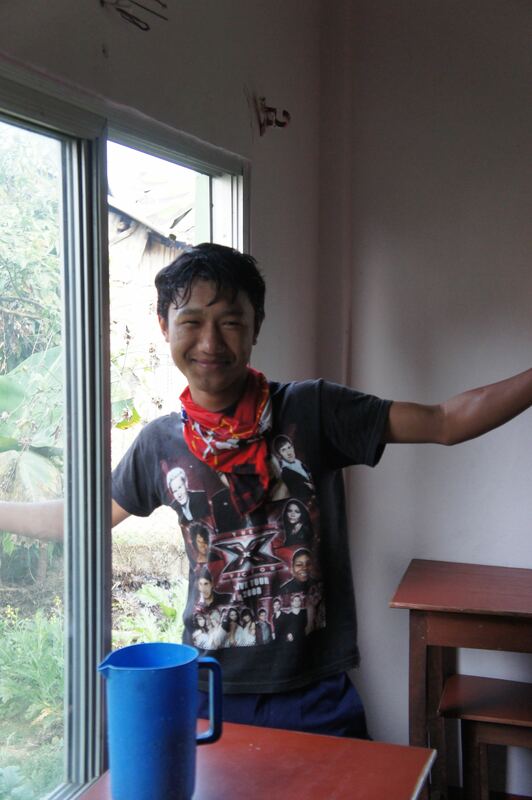 Before he came to the Happy Home he was living in poor conditions in an orphanage in Kathmandu that was being closed down. He is 15 years old and his birthday is on the 31st of July. He favourite animal is a rabbit. When he grows up he wants to be Doctor. His favourite food is buffalo meat. His best friend is Rashmi, who he goes to school with. His favourite flower is a red rose, and he didn’t mind me asking! If he could have a super power it would be valiance. I hope you have enjoyed meeting the members of the Happy Home family. I’ve loved spending time with them and getting to know them. I have one more week with them and it is going to be hard to say goodbye.